The PDP-Laban substitute presidential bet Rodrigo Duterte is truly a phenomenal political character as presidential candidates for 2016 polls. 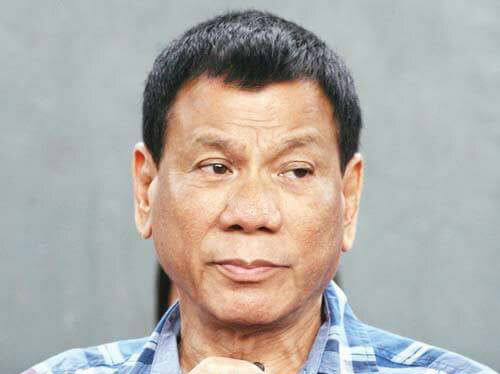 All Diehard Duterte supporters are so many and still increasing as the upcoming 2016 presidential elections is now only 3-months ahead of its schedule, as of writing this post. The presidential election in the Philippines is scheduled on May 9, 2016, including the positions for vice president, senators, congressman, governors & vice governors, mayors & vice mayors and so on. So why Rody Duterte must become the next president of the Philippines? One of the solid supporters of Mayor Duterte shared her thougths and give the seven reasons why you should vote Rodrigo Duterte on 2016 race. 1. Duterte has a bias for Agriculture. Davao has always been known to have good agricultural programs. It is a city. But is one of the biggest supplier of fruits in the whole Mindanao. He stated to provide free irrigation. A very strategic move. Other strategies he wants to implement is. He wants to stop importation of Pork, Chicken, Onions, Beef, Garlic, Rice, Fruits, Oil, Sugar and other agricultural products.. If he has the right programs and policies. This is highly doable. We are an agricultural country. I cannot understand when we import agricultural products. 2. He has a way of attracting investors. His drive against corruption. His policy for fast processing of business permits. His policy not to accept bribes. An ideal business climate has attracted numerous business investors. If he becomes the president. We can expect plenty of investors because of his policies. At one time he said to Davao Businessmen.. You take care of the economy and I will take care of Peace and Order. MORE INVESTORS WILL MEAN MORE JOBS. 3.CHANCE FOR PEACE. His open line and tolerance for NPA AND MUSLIMS may give chance for a peaceful resolution to the war with the NPAs and Muslims. Duterte is well respected by the ARMY, NPA, AND MUSLIMS..
4. He knows the mind and hearts of the people. He listens to the people. He knows the pains and worries of the citizenry. And he find ways to address them. The 911. The Southern Philippines Medical Center. The Task Force Davao is a testament to all of this. During the Yolanda typhoon he is the FIRST GOVERNMENT OFFICIAL TO VISIT AND TAKE ACTION IN TACLOBAN. While others only said. BAHALA KAYO SA BUHAY NINYO. 5. THE MAIN REASON WHY I AM ROOTING FOR DUTERTE PRESIDENCY IS. DRUG PROBLEM. VIOLENCE. CRIME. Is now very rampant. It won't be long before the Philippines will become a NARCO STATE. AND NOBODY.. NOBODY AMONG MAR, MIRIAM, BINAY AND POE cares about crime and drugs.. It will only be Duterte who can stand against crime and drugs. 6. FEDERALISM is a radical suggestion but it makes sense. Today provinces collect reveneus and remit it to the national government. It is distributed to IMPERIAL MANILA. PDAF FOR THE PRESIDENT.PORK BARREL FOR SENATORS AND CONGRESSMEN. AND LGUS ARE LEFT BEGGING TO BE GIVEN CRUMBS. DUTERTE WANT TO CHANGE THIS. LGUS AND PROVINCES WILL COLLECT REVENUES. CONTRIBUTE TO THE NATIONAL GOVERNMENT. BUT THEY WILL RETAIN MAJORITY OF THE REVENUE. AND MAKE THEIR OWN BUDGET. THROUGH THIS. PROVINCES AND REGIONS WHO IMPLEMENT GOOD GOVERNANCE WILL IMPROVE. THEY WILL SET AN EXAMPLE AND INSPIRATION TO OTHER REGIONS AND PROVINCES. 7. ONLY DUTERTE AMONG THE CANDIDATES HAS THE POLITICAL WILL AND THE COURAGE. AND THE HEART. DUTERTE REPRESENTS TAMA. TAPANG AT MALASAKIT. RAIN, HEAT, TEARS, DISAPPOINTMENTS NEVER DAMPEN THE FAITH OF DUTERTE FOLLOWERS. FOR THE FUTURE OF THIS COUNTRY. FB user Manlangit titled her story as, "ADVANTAGE OF RODY DUTERTE PRESIDENCY." If you agree with her, and you like to spread the good thoughts about Mayor Duterte, then share this post to your friends. Comments or suggestions about "7 Reasons Why you should vote Rodrigo Duterte for President" is important to us, you may share it by using the comment box below.